Are you expecting a new arrival, or feeling concerned about your cat and baby sharing a space? Perhaps you're looking to adopt a cat into your family with young children? Whether you're worried about safety, cat behaviour or want to know the benefits of children growing up with a feline companion, you'll find help and advice as part of our Kids and Kitties campaign. 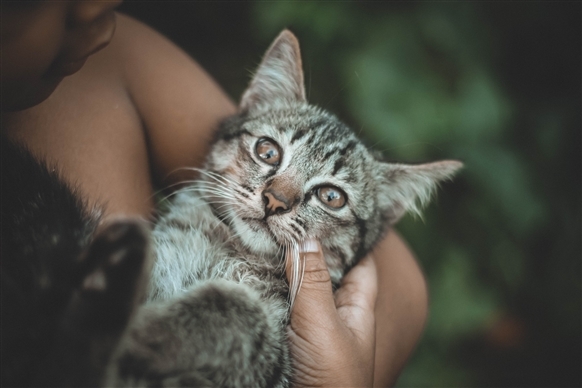 Take a look at our Dos and don'ts video below, or read on for more information about preparing in pregnancy, keeping kids and cats content and a guide to toxoplasmosis. While you're getting prepared for your new baby, it's a good idea to prepare your cat too. 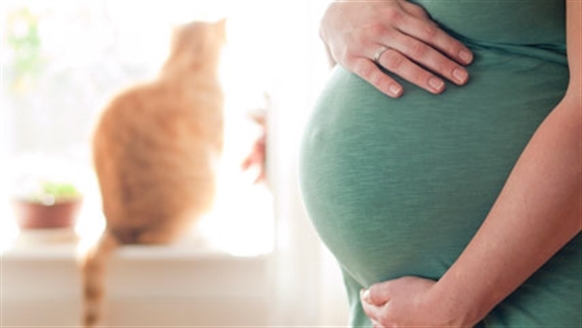 Take a look at our guide on what to do with your cat while you're pregnant. 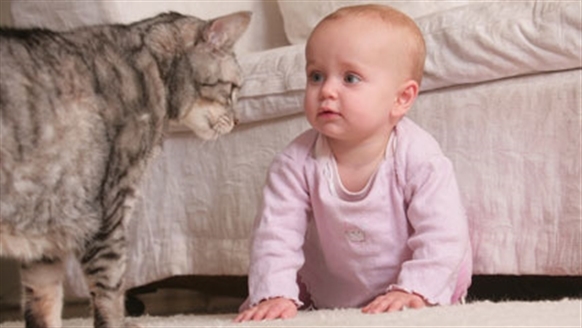 Worried about your cat and baby sharing a space safely, or concerned about feline behaviour? Take a look at our practical tips. 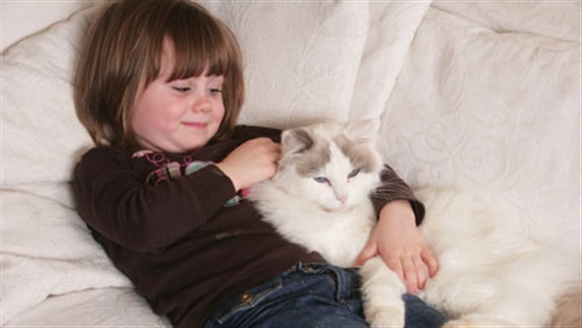 Did you know that there are benefits to children growing up with cats? Take a look at our guide to adopting a cat when you've got kids. Worried about Toxoplasmosis? Find out more about the disease in our guide. Take a look at the stories of real life kids and kitties on our blog.